When I first read Lee’s blog, I felt I had met a kindred spirit! First of all he admitted, even flaunted, that he was an amateur at a million different interests and talents! I feel that way always—an amateur after many years experience! Lee goes on to explore several subjects I love, namely genealogy, writing, Christianity, and even sports like cycling and running! Lee writes with humor and knowledge– I love it, and I encourage you to check his blog out if you haven’t already! Lee has had other blogs before this one, where he concentrated on only one subject. The fact that he has returned to the multi-subject blog, was interesting to me as well, because I’d been pondering this very dilemma—to continue writing about multiple subjects, or to specialize. I think, like Lee– at this time, I am happy to have the freedom to write about different subjects. It keeps my blog fresh, allows me to write from my heart and my joie de vivre—not from a prescribed plan. Now, I have come to understand, that accepting the Liebster award comes with some requirements as well—doesn’t all of life! I have been given ten “interview” questions to answer…a fun way to let others know who I am. And I am to nominate five to ten other bloggers for this award and make up interview questions for them to answer! That will be fun! I am looking forward to the challenges, and will list the rules below for my own nominees! If you could be any superhero, who would you be and why? Drawing a blank when first confronted by this question, I turned to my six year old grandson Liam for advice! Liam is an expert on super heroes, and had lots of suggestions for me! LOL After a very lively discussion, I chose to be “Amethyst: Princess of Gemworld— the name of three comic book series published by DC Comics in the 1980s” (from Wikipedia) My choosing Amethyst fits me perfectly because she is a beautiful color that I love, a color I wear as a Red Hatter, and because I am rebellious, and I do love to have my friends and allies around me for protection! This Wikipedia article describes Amethyst this way: “Princess Amethyst, the daughter of the ruling House of Amethyst, was orphaned by Dark Opal of the House of Opal. Following the death of Amethyst’s parents, the witch Citrina whisks her away to be reared in safety by the Winston family on Earth. .At the age of thirteen, Amethyst is attacked by Dark Opal. After her return to Gemworld, Amethyst discovers her magical powers and gains the appearance of an adult woman. The most powerful magic users in all of Gemworld are from the House of Amethyst. Amethyst decides to use her powers to rebel against Dark Opal’s oppression over Gemworld. Princess Amethyst journeys in search of allies among The Twelve Kingdoms of Gemworld that do not support Dark Opal. She is successful in rallying support from most of the other House and gains friendship in Lord Topaz, Lady Turquoise, and Princess Emerald (Emmy). The first series ends with the defeat of Dark Opal, the liberation of Gemworld, and Amethyst’s returned to Earth.” You go girl! Over the years, I have engaged in many marches and “acts of rebellion”. Just like Amethyst, I marched against policies I found oppressive, then and now with my arms tightly linked with my friends! 2. What is your current favorite book and why? Oh, I have so many favorite books! If I had to choose one—it would be “Rebel With A Cause, The Radical Reformer, by Thomas Clayton. This book is actually a screenplay, and is currently being rewritten as the first printing from this North Carolina author sold out! In the name of full disclosure, I have to say, Thomas and I have been friends for over 40 years now—we met in college! That doesn’t detract from the fact that I love his book! The story is about Servetus, the first Protestant martyr put to death—burned at the stake in the 1500’s—not by a Catholic, but by another protestant—namely John Calvin! I was so surprised that Thomas had chosen to write about Servetus, because in my genealogical work, I had just learned that my husband’s 14th great grandfather was also a Christian martyr, burned at the stake by Queen Bloody Mary in 1555! I imagine they knew each other—my husband’s grandfather, and Tom’s Servetus! Small world? Reincarnation? 3. Dog, cat, or other? Why? I have had both dogs and cats all of my life! Gerbils, rabbits, chickens…and other pets entered the picture from time to time! Right this minute , we are without a pet…by choice, as our last two remaining pets, our golden retriever, Belle, and our black cat Pandora left permanent imprints on our souls, and our health is such that the everyday care of a pet is more than we can handle. But our memories serve us well—I can feel Belle beside me, and Pandora curled in my lap whenever I close my eyes! 6. Do you bike, run, or swim regularly often? If so, what one tip would you offer someone considering starting? If not, why not? No–but I used to swim competitively and synchronized. At one time I could run five miles with the best of them! My advice is : Learn to do it, and NEVER STOP! We will never know, because I did stop, got busy raising my family, working, and doing volunteer work. Then I had a heart attack and the “engine of life” would no longer propel me—and now I can’t walk to my next door neighbor’s house, much less around the block! I miss that more than anything! If exercise would help you avoid this—then exercise, exercise, exercise! This disease is in my family—who knows whether or not I would have escaped it—is there hope for my daughters? You have been selected for a slot on a reality TV competition. Which show is it? What do you think your chances are of winning the top prize? I’m thirty years old and healthy—and I’m a contestant on “The Amazing Race”, partnered with my husband! I think we have a very good chance of winning—because we know how to compromise, when to take turns leading depending on our strengths, and I know how to read people really well! That skill alone can get us a lot of help and good will—something needed to get ahead in a race like that! We would have so much fun! 9. Which teacher in grades Kindergarten through 12 has made the biggest impact on your life and why? For some reason my fourth grade teacher was a huge impact on my life! I think perhaps it was because she “saw” me—really saw me, not just as a member of her class, and made me think I could do good things as I grew up! 10. What do you estimate your life expectancy to be? How did you arrive at that figure? I am 64, I’ve had two heart attacks, and I have congestive heart failure albeit mild. I was told 15 years ago I might only live 5 years! You do the math—I’m living until I die! –and it won’t be today! I hope! 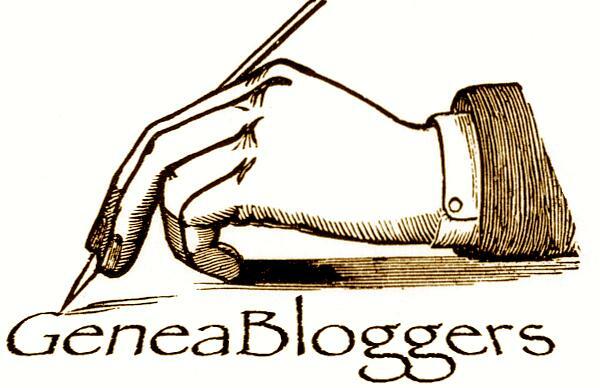 Now it is my turn —and I nominate the following bloggers for their own Leibster Award! I find them interesting, perhaps even compelling! I hope you will enjoy them as much as I do! If you choose to acept this award–your mission will be to keep writing a great blog, but also to answer these questions, nominate other blogggers for this award, and present them with this information including the rules listed below! Congratulations! If you got caught singing with all of your might and gusto—alone in the shower, in the car—what would you be singing? If you are married, is your spouse more like your mom or your Dad? If you are not married, is your best friend more like your Mom or Dad? Have you ever had a “different” experience…like feeling the presence of an angel, seeing a ghost…? Have you ever had the feeling of déjà vu? Did you ever take the Myers Briggs test? If so, in what categories did you fit –like, I was an ENFP. What did you think of those results? Have you ever had to deal with an emergency? Call the police, call an ambulance? How did you do? Panic and lose it, calm and collected? Are you an ocean person or a mountain person—which inspires you more?- relaxes you more? If you could have any famous person to dinner, who would it be and why? Are you good at any type of craft or skill other than writing? What, share pictures? Bonus: Draw a self portrait and share it with us with an explanation or comments! Only if you want to of course! Completing this page also met Day 20’s challenge for the Zero to Hero Challenge I’m involved in! 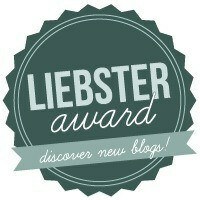 Helen, thank you so much for granting me the Liebster Award, I am very honoured to put the badge on my blog. And I will certainly surf the net to find other amazing blogs in addition to the one’s I already have on my mind.